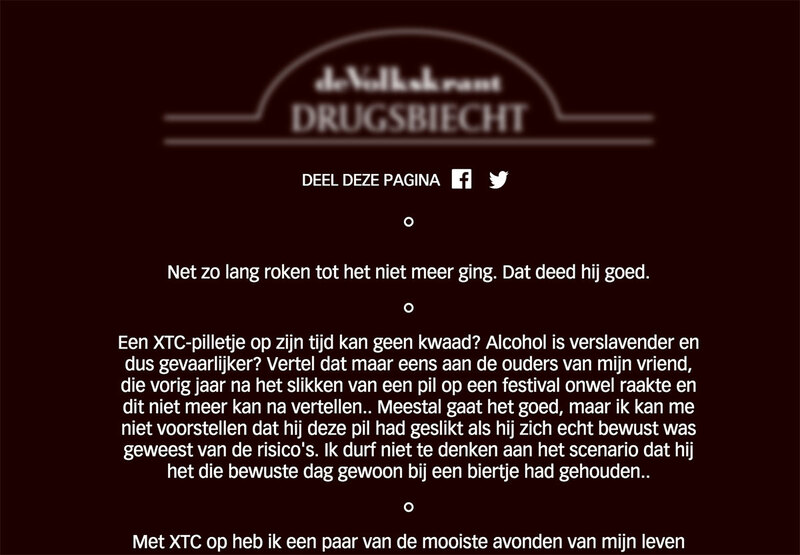 For a special about drugs for Vonk, the weekend supplement of newspaper de Volkskrant i created a digital version of the confessional. You can confess about your sins with drugs, in return you get to read what other sinners wrote. Over 300 people confessed for this project.